The Belarusian delegation had wanted to use real rose petals during their performance at Eurovision 2018, before being forced to use an on screen graphic. BTRC, the Belarusian national broadcaster has revealed that the performance of “Forever” that was seen in Lisbon, was not the performance that they had planned for the Eurovision Song Contest 2018. 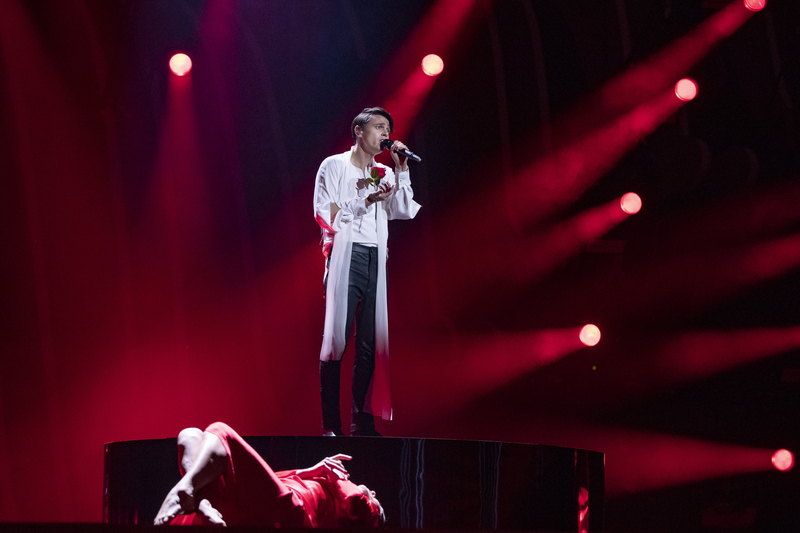 Instead of the on screen animation of rose petals exploding out of Alekseev, the broadcaster had wanted to blow petals out of a vent below Alekseev. The idea to use real rose petals was stopped by the production staff at this years contest due to the time it would have taken to clean the stage after the performance. Belarus was also forced to change their real rose for a fake rose during the rehearsals of this years contest due to the rose becoming heavily damaged during the performances. Belarus finished 16th in the first semi-final scoring a total of 65 points. The result is the worst that Belarus has had in the Eurovision Song Contest since 2012 when the country also finished 16th in their semi-final. Belarus debuted in the Eurovision Song Contest in 2004 and has made it to the final on four occasions. For the past two years, Belarus has failed to make it through to the final of the Eurovision Song Contest. Belarus’ best result in the contest came in 2007 when Dmitry Koldun finished 6th in the final with a total of 145 points. In total Belarus has qualified for the Eurovision final five times in fifteen attempts. Time for cleaning roses? Well, they could have used Greenroom talk and change the running order for Belarus then. They did an extra break for Sweden in the Final too. EBU really likes only a few countries more than the rest, it is obvious now.